"Epicurean" should be on your short list for viewing if you wish to travel around the "Great Loop" or are interested in a nicely kept, heavily built motor yacht!! Beautiful Diesel Powered Tollycraft!! Original gas power replaced in 1993 with reliable 300hp CAT Diesels and Northern Lights Diesel Generator! New bridge Strataglass Spring 2018! Freshwater vessel for a large portion of its life in Tennessee before coming to the Gulf Coast prior to 2013. Tollycraft was founded in 1936 in the Pacific Northwest. Tollycraft became well known to the West Coast markets. During the 1980s Tollycraft was selling its boats nationwide with an earned reputation of a quality builder. One of their best sellers was the 40' Sundeck. A Classy sundeck yacht that offers efficient interior, great craftsmanship and at a competitive price. Interior highlights include solid teak trim, salon deck doors, port and starboard side deck entry from the sundeck and side deck cabin entry from the starboard mid-ship. Bridge clearance is 17' well under the 19' required to pass under the Chicago Bridge. This boat does not have any ladders to traverse between the bridge and lower decks. Molded in steps provide safety and comfort. Many would consider the quality on par with some of the best boats ever built like Hatteras and Grand Banks; boats built for big seas and long distances. The owner reports fuel economy of 2mpg @ 10kts/1200rpm with Generator running. West Florida Yachts would love to guide you through a personal showing of this 40' Tollycraft Sundeck 1987. 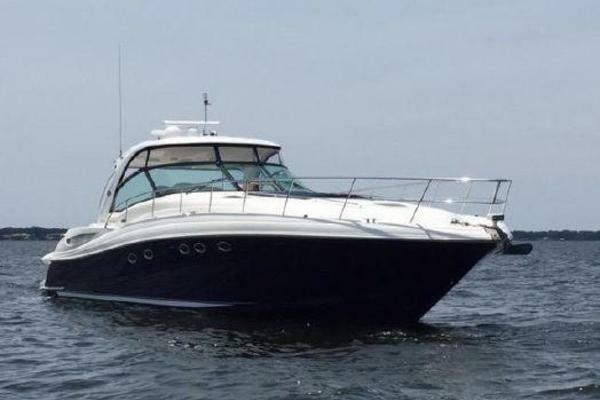 This yacht for sale is located in Gautier, Mississippi and priced at $89,900. For a showing please contact us by filling out the form on this page and we will get back to you shortly!